For many years, inspired by ancient statues such as the Venus of Willendorf, I have been working with clay to create God and Goddess statues, bowls, incense burners and many other items. I have a profound love of creating with clay, for me it is the ultimate use of all the elements. The body of the earth, the waters of life to make it pliable, the breath of air to dry it so it is ready for the transformative fires and finally spirit that brings our inspirations. Over the years I have enjoyed working with individuals and groups introducing them to the joy of creating with the body of the earth on a practical level, whilst also including a meditative element intended to create focus and connection to a particular aspect of spiritual exploration. 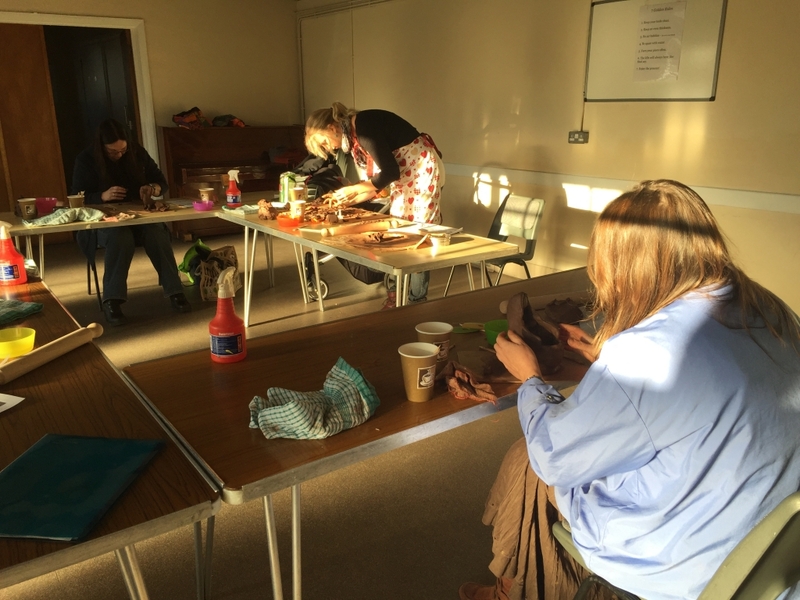 In the past these workshops have usually taken place in the context of a spiritual workshop at a camp or as part of some other larger event, but this year I took the plunge and opened up to a wider community, to see if there were more people who would like to try their hand at working magic with clay. I committed myself to two ceramic workshop days where small groups learned to work with clay. I am happy to say that they were both successful and everyone created items such as Goddess figures, chalices, bowls and plaques that would accompany them on their various spiritual journeys. I will be running more in the coming year, hopefully in my own studio, so if you would like to take the opportunity to join me in a day or maybe even a weekend of focused creativity with a spiritual commitment, then please check the website in 2016 to see when and where the days will be held.